Acronym PLC programmable controller or PC, is evolved from the early relay logic control system, which constantly absorbing function of the microcomputer technology to growing gradually for complex control tasks. Since 1836 relay came, people began to use it skillfully wire connected with the switching device, constitute use different logic control or sequential control. So far, the PLC Ladder programming language can also see the shadow of these wires. Until the late 1960s and early 1970s, the advent of programmable controllers, with the rapid development of microelectronics technology, computer technology and data communications technology, as well as the emergence of the microprocessor, PLC products towards small and ultra-small aspects of a leap , and finally to the early PLC from the initial logic control, sequential control, it has developed into a modern PLC logic, timing, counting, memory and arithmetic operations, data processing, communications and networking functions such as PID loop controller. PLC viable reason is that it is more suitable for industrial field and the requirements of the market: high reliability and easy ability against various disturbances, programming installation, low price and long life. Than the microcontroller, its input and output closer to the field devices, without adding too many intermediate member or need more interfaces, which saves users time and money. PLC lower end (input) for the relay, transistor and thyristor control means and the upper end is generally user-oriented microcomputer. When people use it, you can not carry out specialized training in computers, programmable controllers can be operated and programmed. Used to perform a variety of different complexity industrial control tasks. PLC application is very broad, very rapid development of industrial automation equipment, factory automation (FA) and computer integrated manufacturing system (CIMS) in the important role. Today’s PLC function, far not only replace the traditional relay logic. PLC system is generally constituted by the following basic functions: a variety of control functions. Data collection, storage and processing capabilities. Communications networking. Input / output interface conditioning. HMI function. 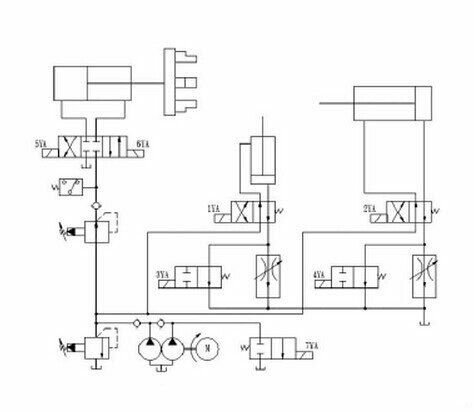 1, the control function logic control: PLC has the AND, OR, NOT, XOR logical operations and other functions, and triggers can replace relay switch control. Time control: It provides users with a number of electronic timer, users can set their own: on-delay, off delay and timing pulses and other means. Count Control: pulse control can add, subtract counting mode, you can connect encoder for position detection. Sequence control: the first after the procedure is completed, it is transferred to the next process, so that a PLC can use as a multi-step controller. Basic arithmetic: add, subtract, multiply and divide. 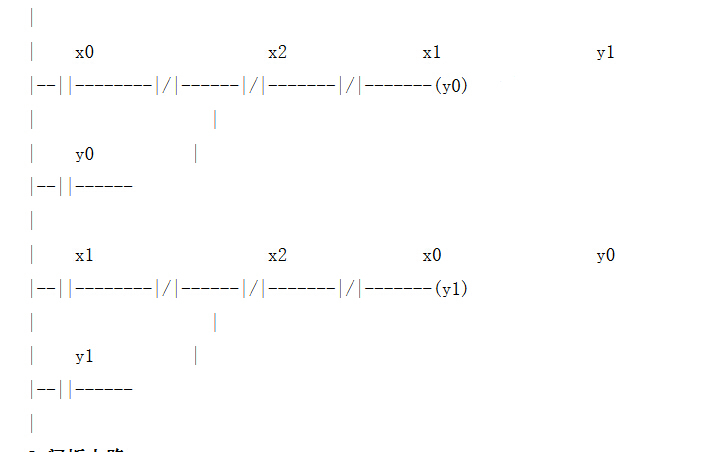 Extended arithmetic: square roots, trigonometric functions and floating point arithmetic. Compare: greater than, less than and equal to. Data processing: Select, organize, normalize, move, and first in first out. Analog data processing: PID, integral and filtering. 2, the input / output interface conditioning functions having A / D, D / A conversion, complete analogue control and regulation through the I / O modules. Median and accuracy can be selected according to user requirements. 3. Has the temperature measurement interface, direct connection to a variety of resistance or galvanic. 4, communications, networking have adopted most modern PLC communication, network technology, RS232 or RS485 interface for remote I / O control, more than one PLC to one another networking, communications, external devices and one or more between the programmable controller signal processing unit, program memory and data exchange, such as the transfer of the program, data file transfer, monitoring and diagnostics. The communication interface or communication processor hardware interface standard or proprietary communication protocols and data transfer process is completed. Such as the Siemens S7-200 Profibus fieldbus port, the communication speed may reach 12Mbps. When the system is constituted by a computer with multiple PLC constitute centralized management, decentralized control of distributed control network to complete large-scale complex control. Commonly referred to as SCADA systems, on-site and remote terminal PLC terminal can also be used for live machine. 5, man-machine interface function provides the operator to monitor machine / process work necessary information. Allows the operator and PC systems interacting with their applications, in order to make decisions and adjustments. Means to achieve human-machine interface functions: from the grassroots operator screen text display, the stand-alone CRT display and keyboard operation and decentralized communication processor, a dedicated processor, a personal computer, industrial computers, and centralized operation and monitoring system. Use 6 different complexity, programming, debugging and other hand-held, portable and desktop programmer, and operator workstation screen, programming, debugging, monitoring, testing and records, and printing out the program files. 1, high reliability PLC’s MTBF is generally 40000 ~ 50000h above, Siemens, ABB, Panasonic and other micro PLC of up to 100,000 h or more, and have a sound self-diagnostic function to determine the fault quickly and easy to maintain. 2, the modular combination of flexible programmable controller series products, the module structure commonly used to accomplish different tasks combinations. I / O from 8 to 8192 points, there are a variety of models, a variety of function modules can be flexibly combined, structure is also diverse. 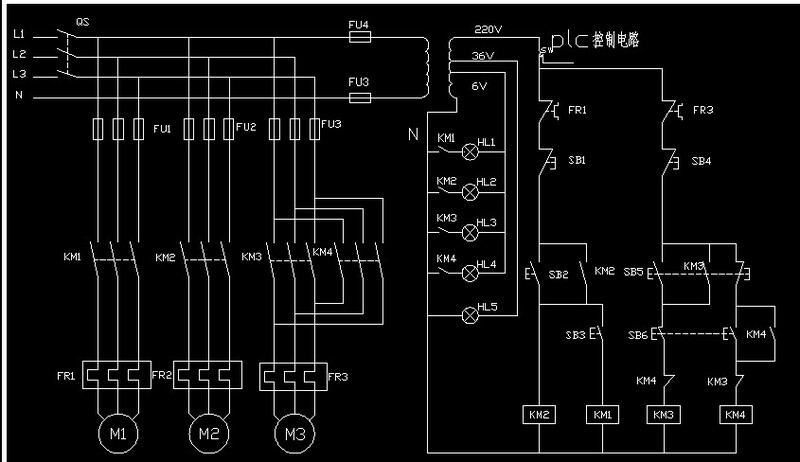 3, powerful PLC application of microelectronics and micro-computer, simply type have logic, timing, counting sequence control. The basic types plus analog I / O, the basic arithmetic operations, communications and so on. In addition to the basic types of complex types of functions, but also has a scalable computing power, multi-level terminal mechanism, intelligent I / O, PID regulation, process monitoring, network communications, remote I / O, multiple processors and high-speed data processing capability . 4, convenient programming PLC control suitable for industrial ladder, function block diagram, instruction list and sequential function chart (SFC) programming, without much knowledge of computer programming. The new programming workstation with a comprehensive software toolkit, and on any PC-compatible programming. 5, to adapt to the technical conditions of the industrial environment PLC can work under the general high temperature, vibration, shock and dust and other harsh environment, can work reliably under strong electromagnetic interference environment. This is the market value of existence PLC products. 6, installation and maintenance is simple compared with the computer system, PLC installation does not require special rooms and rigorous screening. When you use as long as connectivity to various devices is correct, the system can work with operating and fault indication means on each module, easy to find fault, most of the modules can be hot plug, the module can be replaced, so that users can in the shortest isolated time fault, and exclude, to maximize compression downtime, rapid recovery of production. Then repair fault module, which is particularly suitable for large-scale production situations. Some PLC housing is made of an alloy that can operate under poor working conditions, with the simple structure, with a heat sink above, at high temperatures, unlike the housing plastic deformation, as also anti-radio frequency (RF high frequency) electromagnetic interference, fire and so on. 7, fast with microprocessor applications, so that the speed of the PLC faster, make it more in line with the processing speed of complex control tasks, the difference between it and the microcomputer is not very obvious. 8, the low weight of the total price of the PLC, volume, power, and hardware prices have been reduced, although the proportion of total software price has increased, but the manufacturers to compete also a corresponding reduction in prices. In addition, the use of PLC can also greatly shorten the design, programming and commissioning period, bringing the total price is further reduced. PLC systems and industrial computer bus and DCS system of mutual penetration, mutual learn, compete and development. Promoting the progress of industry. PLC fieldbus products face development, innovation will once again meet the higher needs of the industrial and civilian control. Third, communications and networking PLC communication between the PLC, including PLC, the communication between PLC and host computer and PLC and other intelligent devices. PLC system can be a general purpose computer or via the communication processing unit, a communication adapter connected directly to form a network to achieve the exchange of information and may constitute centralized management, decentralized control of distributed control system to meet factory automation (FA) systems development needs of each PLC or remote I / O module according to the functions of each place at the production site decentralized control, then using a distributed network system connected to form a network of centralized management. Siemens company SIMATICNET example, in the Totally Integrated Automation (TIA) system concept proposed in its core content which includes integration and integrated communication configuration and programming of integrated data management. Communication networks are important, the key components of this system to provide inter-network components and improve the industrial communication. International standard AS-I network sensors and actuators communication scan time 5ms, the transmission medium is twisted pair, unshielded line length of 300m, a maximum of 31 slaves. PROFIBUS industrial field bus, the international standard for the workshop and field level, the maximum transmission rate of 12m / s, the transmission medium is shielded two-wire cable (up to 9.6km) or cable (up to 90km), can connect up to 127 from station. International standard industrial Ethernet networking for regional and unit, the network size of up to 1024 stations 1.5km (electrical network) or 200km (optical network). In this network system, it is particularly worth mentioning is the PROFIBUS fieldbus, PROFIBUS field bus is one of the most successful, have been widely used. It is not dependent on the manufacturer, open field bus, a wide range of automation devices can exchange information through the same interface. A large number of manufacturers to provide high-quality products PROFIBUS, the user can freely choose the most suitable product. PROFIBUS has become the national standard DIN19245 German and European standards prEN50170, and in the world has the largest number of users. Four, PLC and industrial control computer (IPC) to compare and distributed control systems (DCS) 1, the origin of their computer technology to meet the rapid development of large amounts of data processing equipment required. Hardware structure, high degree of standardization of the bus, compatibility, rich software resources, especially the support of real-time operating system, so the requirements of fast, real-time control and computation model complex workload industrial objects advantage. Distributed system development from the industrial automation instrumentation control systems to industrial control computer as the center of the distribution system, so its processing in the analog loop adjustment has certain advantages, mainly used in the initial stage continuous process control, focusing loop control functions. PLC is evolved by the relay logic system, mainly used in discrete manufacturing, process control, instead of the initial main relay control system, switch the order of emphasis on control. With the development of microelectronics technology, large scale integrated circuit technology, computer technology and communication technology, etc., PLC happened leap in technology and functionality. On the basis of the initial logic operation, an increase of numerical computation, loop adjustment and other functions, and adds analog PID control function modules; computing speed, CPU capacity to catch up with industrial control computer; enhance communications capabilities developed more species and local bus network (LAN), and thus can also be configured as a distributed system. Especially personal computer can also be absorbed into the PLC system. Beginner PLC ladder programming should be to follow certain rules, and develop good habits. In this paper, Mitsubishi FX series PLC, for example, briefly explain the Mitsubishi PLC ladder programming rules to be followed, allowing users to better understand how to learn to see the Mitsubishi PLC ladder programming, we want to help. One thing to note is that although this article Mitsubishi PLC, for example, but these rules when other PLC program must also be observed. 4, not to use double-coil output. If the same ladder, more than two coils of the same component or twice, then known as the reuse or dual-coil output coil. Usually one of the dual-coil output ladder for beginners easy to commit wrong. In the double-coil output, only the last coil to be effective, and front coil is invalid. This is caused by the PLC scan feature of the decision. PLC uses the CPU work cycle scan. Generally consists of five phases (as shown): internal diagnostics and treatment, and communication peripherals, input sample, the user program execution and output refresh. When the mode switch is in STOP, before performing only two phases: internal diagnostics and treatment, and communications peripherals. 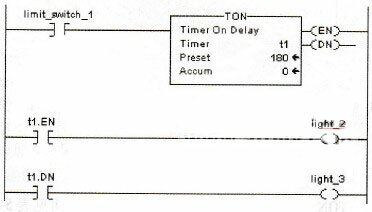 PLC sequential reads the state of each input, and the input image is stored in the register we call the internal unit. When entering the program execution stage, such as the input changes state corresponding cell information input image area does not change with it, only the next input sampling phase of the scan cycle, the input image area corresponding to the cell information will change. Therefore, PLC will be overlooked pulse variation is less than the amount of the scan cycle switch input. PLC from the program step 0, beginning with the first following the first left and right sequence scans the user program and logical operations. PLC input image by content area for logical operations, and the result is written to the output image area, rather than directly to the output terminals. PLC output terminal changes depending on the content of the output image area. 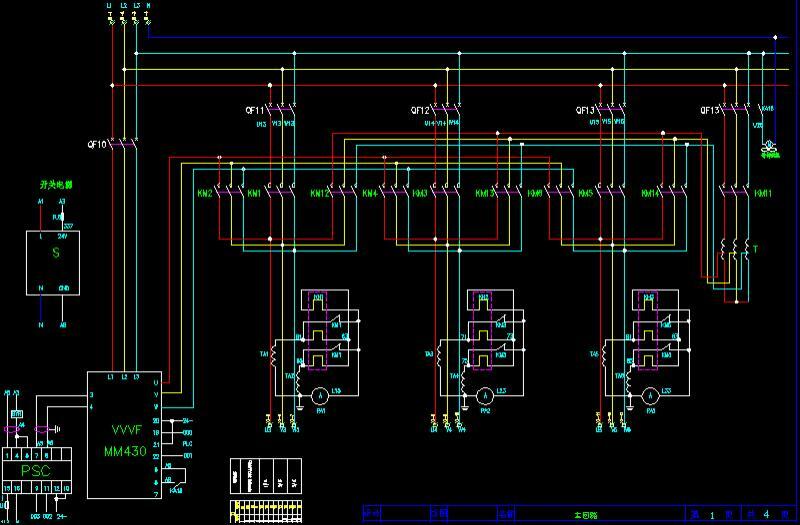 This is the actual output of the PLC. 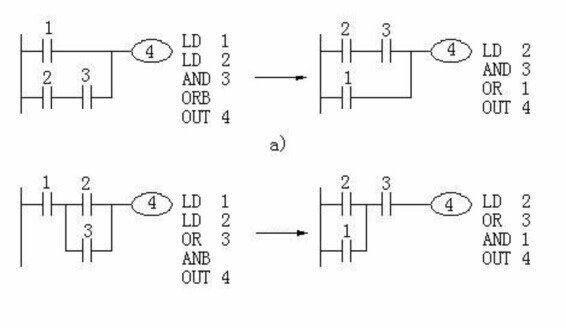 Above brief description of the working principle of PLC, the following examples explain why we then to write ladder program should not be repeated using a coil. As shown below, when the reset input is sampled input image area X001 = ON, X002 = OFF, Y003-ON, Y004 = ON is actually written to the output image area. But to continue down, because X002 = OFF, so Y003 = OFF, this is after the result has been written to the output image area, change the original state of Y003. Therefore, the output refresh period, the actual external output Y003 = OFF, Y004 = ON. Many newcomers to come across such a problem, why X001 has been closed, and no output Y003 it? Logic is wrong. In fact, because the use of double coil caused. Program Analysis: M0 closed, the program jumps to at P0 (no X001 statement), M0 normally closed off, CJ P1 does not occur, the next statement. In this case, Y003 to X002 state drive. State M0 disconnected, according to the order of execution of T003 X001 is driven M0 NC closed skip P1 state by X003 to drive on Y004, which skips the X002 drive Y003 statements. Visible at the same time, Y003 drive only one can occur. In this case, the use of double-coil is possible. Figure (b),, X001 and X002 contact control auxiliary relay M000, X003 ~ X005 contact control auxiliary relay M001, and then by two relays M000, M001 parallel combination of contacts to control the coil Y000. Such logic has not changed, yet the double coil into a single coil. This entry was posted in plc program and tagged Learn PLC programming, plc courses, plc programming tutorial, plc training on August 12, 2016 by arco. PLC dealing with for so many years, often met with some beginners asked about the difference between PLC Siemens PLC and Mitsubishi PLC, there are many novice distress to choose which brand to learn, share this article the difference between Siemens PLC and Mitsubishi PLC to everyone. Mitsubishi plc is a Japanese brand, intuitive programming, it would be relatively easy to learn, but more instruction. Siemens plc is a German brand, more abstract instruction, learning more difficult, but less instruction, so learning and learning Mitsubishi Siemens cycle is the same. 1, Mitsubishi programming software from the early FXGPWIN to recent GX8.0 (I know the latest), and all the Japanese brands, the software programming ideas a single vertical structure from top to bottom, and Siemens MicroWIN it is both vertical and horizontal structures, and subroutines support local variables, the same functions can be programmed once the program can greatly reduce development effort and time. 2, S7-200 has been the strong support floating-point operations, programming software directly supports decimal input and output, and until recent years, Mitsubishi FX3U series introduced only this function, the previous FX2N series of floating-point capabilities are false. 3, S7-200 analog input and output process is very simple, AD, DA values ​​can be programmed without direct access, and former Mitsubishi FX2N series requires very cumbersome FROM TO instruction. FX3U down now support this feature, but a full five years or more late. 4, of course, Mitsubishi FX2N series has its own advantages, one high-speed counter instruction convenient than S7-200, the second is more than 422 Siemens PPI port rugged (200 series because of non-PPI port optically isolated, non-standard operation and generic programming cable may cause damage to the serial port). The above comparison merely minicomputer, as the Siemens 300 and 400 series and the larger TDC series, needless to say up here. Learn PLC, Mitsubishi is very easy to use, because the simple idea to go straight, but from the perspective of learning, Siemens is definitely better. This is mainly reflected in the capacity and speed of operation. Siemens CPU226 program capacity 20K, the data capacity of 14K; Mitsubishi FX2N a total of only 8K, later 3U actually improved. Siemens CPU226 and CPU224XP standard configuration that is 2 485 PPI port, the maximum communication speed of 187.5K; and Mitsubishi all series FX3U is a 422 before, but the speed is 9.6K. If you need even a smart meter what you must purchase another FX2N0-485BD other special modules. And two communication ports can be a link to download the data cable connected to a touch screen debugger, or you will disconnect the touch screen cable to connect a touch screen and then the data line, back and forth adjustment process is very cumbersome. Mitsubishi has the advantage of discrete control and motion control, Mitsubishi’s instruction rich, special positioning instructions, control servo and stepper easy to implement some complex motion control is the strengths of Mitsubishi, Siemens will in this weak no special instructions, do not servo or stepper positioning control can not be achieved, but the complexity of the procedure, the control accuracy is not high. For example, a device just some motion control, such as a robot, you can choose Mitsubishi PLC, a device for a servo or stepper positioning control, also selected Mitsubishi PLC. Like central air conditioning, sewage treatment, temperature control and other such election will have a lot of Siemens PLC analog to deal with more appropriate to use a data communications equipment on the site have a lot of instruments for the collection, choose a good control of Siemens. So for different devices in different control methods, we want a reasonable selection of PLC, with their strengths and avoid their weaknesses. This entry was posted in plc program and tagged Learn PLC programming, plc training on August 10, 2016 by arco. 1-bit binary number (bit) value of 0 and 12 different, can be used to switch (or digital) of two different States, such as the contacts open and close coils powerup and powerdown. If the bit is 1, it means that the ladder diagram programming elements in coils “electricity“, normally open, normally closed contact closed fracture, later called the programming elements 1 status, or ON the programming elements. Reverse is also against. 8-bit binary number 1 byte (Byte), No. 0 is the lowest bit (LSB), the 7th highest bit (MSB). 1 two byte Word (Word), two words 1 double word. This access method is called “byte •“ addressing modes. (2) “byte“ access: IB3 input bytes (Byte) by I3.0~I3.7 the 8 bits. (3) the word “access: adjacent bytes in a Word, a two byte characters in the address must be continuous, and the low byte in a word it should be 8-bit, high byte in a word should be the lower 8 bits. 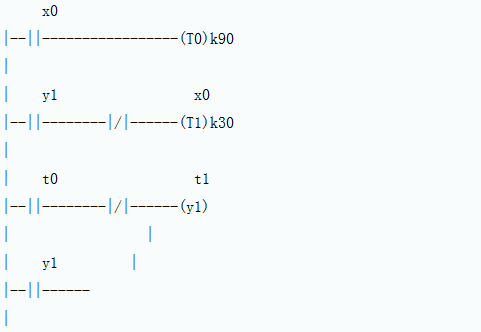 IB14 and IB15 IW14 made of 1 Word, IW14 I region in identifier, w (Word), 14 as the starting byte address. IW14 IB14 should be 8-bit, IB15 should be the lower 8 bits. (4) “double word“ access: the next four bytes represents a double word, four–byte addresses must be continuous. Lowest bytes in a double word it should be up to 8-bit. ID12 consists of IB12~IB15 double words, I as a regional identifier, d represents access to double word (Double Word), 12 as the starting byte address. ID12 IB12 should be up to 8-bit, IB15 should be the lowest 8 bits. Such as: the electric 0231, 0232, 40 students in one class, each class is divided into 5 groups, each group of 8 people. CPU when there are extension modules via the I/O bus to provide 5V power supply, 5V power consumption of all the extension modules and cannot exceed the power rating of the CPU to provide. If an external 5V power supply won’t be enough. Each CPU has a 24VDC sensor supply, it entered for the native entry point and extension modules and extension module 24VDC relay coil. CPU module power supply if power requirements exceed the fixed, you can add an external 24VDC power supply provided to the expansion module. The so-called power calculation is to use the available power capacity of the CPU, less power consumption required for each module. Note: EM277 module itself does not require a 24VDC power supply the power supply for the communication port used. 24VDC power supply demand depends on the load on the communications port. The communication port on the CPU, and TD 200 can connect PC/PPI cable and power supply for them, the power consumption is no longer included in the calculation. Local variable storage variable storage is very similar, the main difference is that the local variable storage is partially valid, variable storage is global. Global refers to the same memory can be any program (such as the main program, interrupted procedures or subroutines) access, partially valid is stored and associated with specific programs. Local variable memory used as a temporary data storage transfer function or subroutine. Can be bit, byte, Word or double word to access the data stored in the local variable. S7-200 CPU, counter to be accrued from the input port or the number of pulses sent by internal components. It has additional counters, counter and increase/decrease the counter 3 types. Due to the counter frequency scan cycle limitations, when you need to use high frequency to high frequency signal count counter (HSC). Counter has the following two kinds of address form. Current value of addressing: a 16-bit signed integer, stored cumulative number of pulses. Enter a relay used to accept signals from external sensors or switches are special registers of the input image. It can only be driven by external signal driver. At the beginning of each scan cycle, CPU total physical input is sampled and sampled values written to the input register. Enter the relays generally used an octal number, a Terminal occupies a point. It has 4 addressing modes that can be bit, byte, Word or double word to access the input process image data in the registers. Byte addressable by the store identifier, identifier, a byte address combination of bytes. 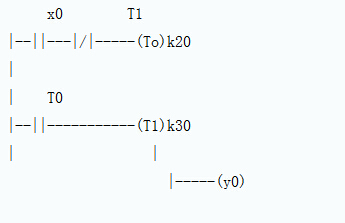 As VB100, its byte addressing mode as shown in the figure. Addressed by the store identifier, identifier and byte the starting address combination. VW100, addressing mode as shown in the figure. Double-word addressed by the store identifier starting address, two-character identifier and byte combinations. VD100, its double-word addressed, as shown in the figure. For ease of use and the unification of data and memory cell length, S7-200 series, general storage unit has addressed, byte–addressable, addressing and Gemini addressed 4 addressing modes. When addressing, different ways of addressing cases use the same byte address as the start address, it indicates that the address space is different. In S7-200, some special storage unit for storing data-bit addressing mode is not supported, mainly analog input/output, accumulators, timers, and the current value of the counter memory. Regardless of what mode of addressing and accumulator, will use 32-bit, analog unit addresses are even signs. In addition, timers, memory and the memory with the current value of the counter, belong to the same marking of device memory using the same address.